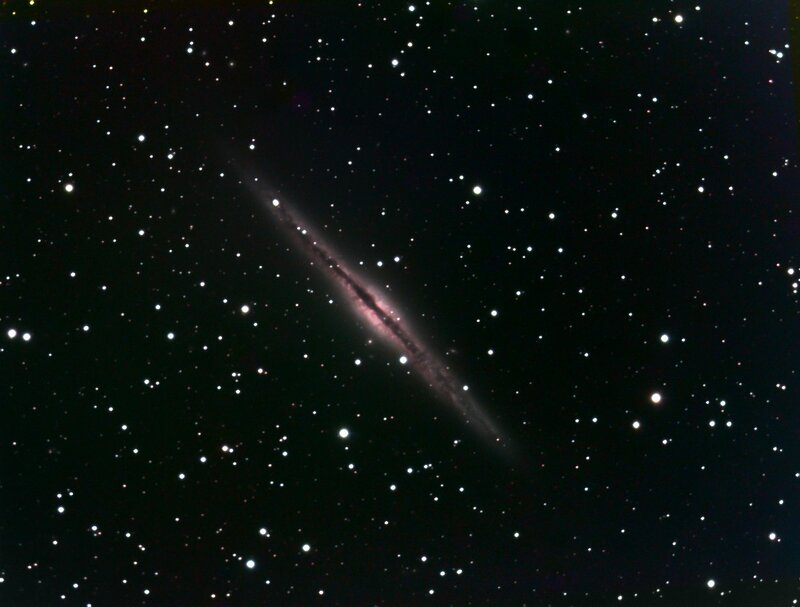 NGC 891 is one of my favourite galaxies ( so far ) , so I am dedicating a page to it, as I will be putting lots of entries into this. 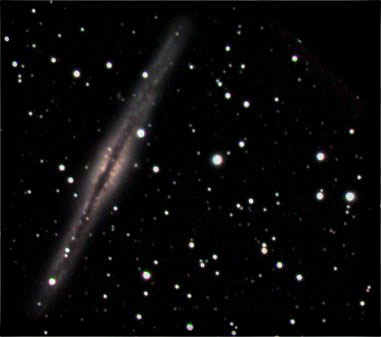 1st genuine deep sky colour attempt. Re-processed again on the 11th march 2005 using Rob Pollards technique detailed here .